Down syndrome is a genetic condition that appears in one of every 691 live births. It is the most common chromosomal disorder and can cause delays in physical and intellectual development. Individuals with DS have 47 chromosomes instead of the typical 46. This unusual cell division happens immediately at conception. Neither race, nationality, religion nor socioeconomic status influences the rate of occurrence of DS. What are the three types of Down syndrome? The most common form of DS is known as Trisomy 21 (T21), which accounts for 95% of cases. The remaining 5% are due to conditions called mosaicism and Robertsonian translocation. Mosaic DS results when some cells in the body are typical while others have T21. Translocation occurs when part of chromosome 21 breaks off during cell division and attaches to another chromosome. The presence of this extra part of chromosome 21 causes some characteristics of DS. Although a person with a translocation may appear physically typical, he or she has a greater chance of having a child with DS. What options do people with T21 have? Through medical strategies, neurodevelopmental exercises and biomedical intervention, the options for people with T21 is growing and evolving every day. Exciting new research helps us understand and uncover different ways to address the symptoms people with T21 have. And, since these individuals have similarities to those with Alzheimer's Disease, scientists have taken a renewed interest in finding treatment for dementia in both populations. Researchers are working to improve, correct or prevent many of the problems associated with the diagnosis. According to the National Down Syndrome Society's website, "Scientists now feel strongly that it will be possible to improve, correct or prevent many of the problems associated with Down syndrome in the future." Some people believe that the effects of T21 are just a fate that you accept. But, according to an article in the spring issue of the Journal of American Physicians and Surgeons, "Genetic diseases [such as Down syndrome] are generally thought to be untreatable, but the underlying mechanisms are biochemical and thus can possibly be modified." And this study states that "Learning disabilities and mental retardations that were considered permanent are treatable." Either way you look at it, there are a wide variety of options which can be very helpful, depending on each individual. Some options may lead to great improvement and others may have little or no effect on your child. How can you figure out what works for your child? Participation in Autism360 may help. Autism360 is free database that was created to allow parents of children with Autism share information with each other on what is working or not working for their child. Parents have found this tool so valuable, that families with children with T21 are using it as well. You simply share information about your child in a secure, anonymous way and then you can compare your information with other families. The information includes your child's surgeries, therapies, symptoms, strengths, supplement/medicine list. The more people who use this database, the better. Please consider investing a small amount of time to participate. It's very interesting what you may learn about your child! Let us know if you have any questions on how to use it. Where can I connect with other families who are searching for answers? For parents with a prenatal diagnosis or a baby under a year old, you can join the Facebook group called Down Syndrome Baby Steps for support through the first year. For parents/caregivers for individuals with Down syndrome, join the Facebook group Unlimited Potential, which focuses on neurodevelopmental therapy and the Trisomy 21 Nutrition and Supplementation Group. Please let us know if you want to join so we can add you. For parents with babies and young children with Down syndrome, join the online group Unlimited Potential Parent Group. Enjoy a vast amount of information sharing for parents of individuals with DS at the Einstein Syndrome Forum. For parents with family members with the dual diagnosis of Down syndrome and autism spectrum disorder, join the DSA of Louisville to learn about IEPs, etc. For putting together a plan of action including biomedical intervention, join the yahoo group called DS-Aut Recovery. For Australian families with a child with Down syndrome, there's a Facebook group that's just for you! If you want to join, contact them at their page. For UK families with a child with Down's syndrome, there's a Facebook group called Down's Syndrome Proactive Parents UK. Please let us know if you want to join so we can add you. Para las familias que hablan español, hay un grupo de FB llamado Padres proactivos párrafo Síndrome de Down. Para as famílias que falam português, há um grupo chamado FB 21 A Trissomia do Amor. Este grupo discute uma ampla gama de tópicos, incluindo supplemenation para indivíduos com síndrome de Down. Para perguntas específicas sobre tais terapias alternativas, você pode marcar "DS Daytoday". What family blogs support a proactive approach to T21? Down Syndrome: Up! Up! & Away! Where can I read about Vitamin Therapy and Down syndrome online? Can nutritional supplements help mentally retarded children? An exploratory study. by Harrell RF, Capp RH,Davis DR, Peerless J, and Ravitz LR. Proceedings of the National Academy of Sciences USA, 1981. 78: 574–8. The Pioneering Work of Ruth Flinn Harrell: Champion of Children by Andrew W. Saul from the Journal of Orthomolecular Medicine, 2004. Vol 19, No 1, p. 21-26. 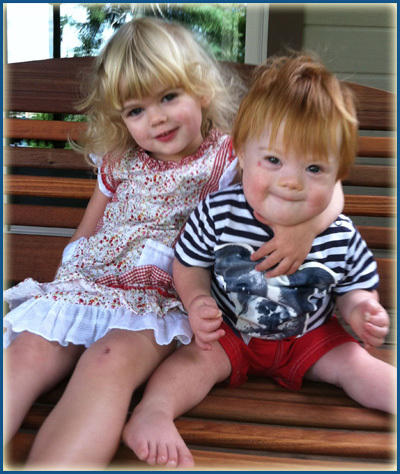 A Metabolic Overview of Down Syndrome by Dr Robyn Cosford. Article starts on page 3 with the conclusion on page 6. Supplements and T21 a list of resources by Andi Durkin. Where can I learn about Neurodevelopment and Down syndrome? Where can I get biomedical information on Down syndrome? Riverbends Click the “Supplements” folder on the left. Where can I learn about an integrative approach to Down syndrome (nutritional, eviromental, alternative therapies)? Visit the Einstein Syndrome website. Where can I get news on Down syndrome topics?